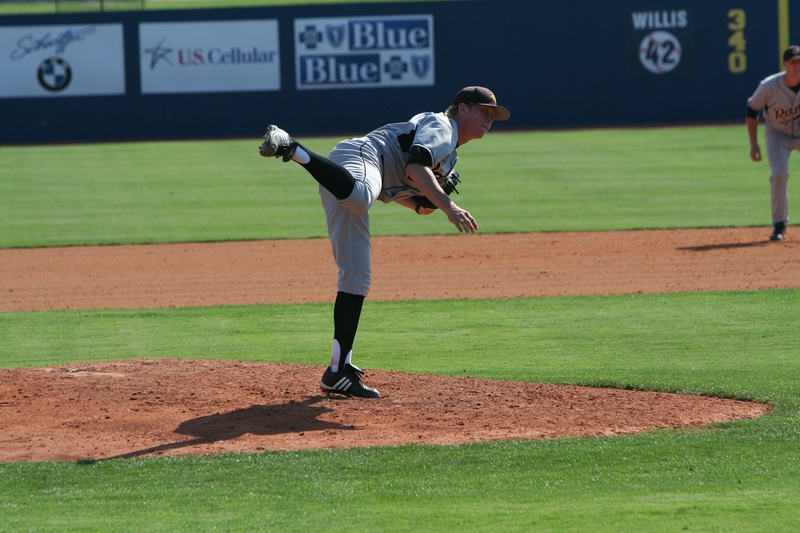 Senior righty Seth Cutler-Voltz his 4-2 with a 4.53 ERA this season. He will take the mound Saturday for VCU. RICHMOND, Va. – The postseason hopes of the VCU Baseball team may be on the line this weekend at The Diamond. The Rams (25-20, 11-13 CAA) host Georgia State (19-26, 10-11 CAA) in a pivotal three-game set beginning Friday at 6 p.m. The Panthers are one of three teams tied for fifth in the league with the Rams close behind. The league’s top six teams qualify for the CAA Tournament May 23-26 in Harrisonburg, Va. After this weekend, the Rams have just one league series (at James Madison May 11-13) remaining to improve their league standing. The Rams are just a half game back of fifth place. This weekend could turn the whole thing upside down. Friday, May 4, 6 p.m.
Saturday, May 5, 3 p.m. If the Rams can win two of three this weekend, they vault themselves into the middle of the race. A sweep would essentially eliminate Georgia State from this discussion. Meanwhile, Towson will be at first place UNC Wilmington this weekend, William & Mary will be hosting last place Old Dominion (writing “last place ODU” never gets old). Delaware, also within VCU’s reach, will be at George Mason this weekend. The Rams will have plenty of opportunity to grab a CAA Tournament berth down the stretch, but that campaign has to begin tonight at The Diamond.